AmpliVue® assays provide access to all of the benefits of lateral flow molecular testing to any size laboratory. AmpliVue uses Quidel’s proprietary Helicase Dependent Amplification (HDA), which you can learn more about here. Quidel wants all labs to have access to the improved specificity, better accuracy and faster results, which molecular provides. 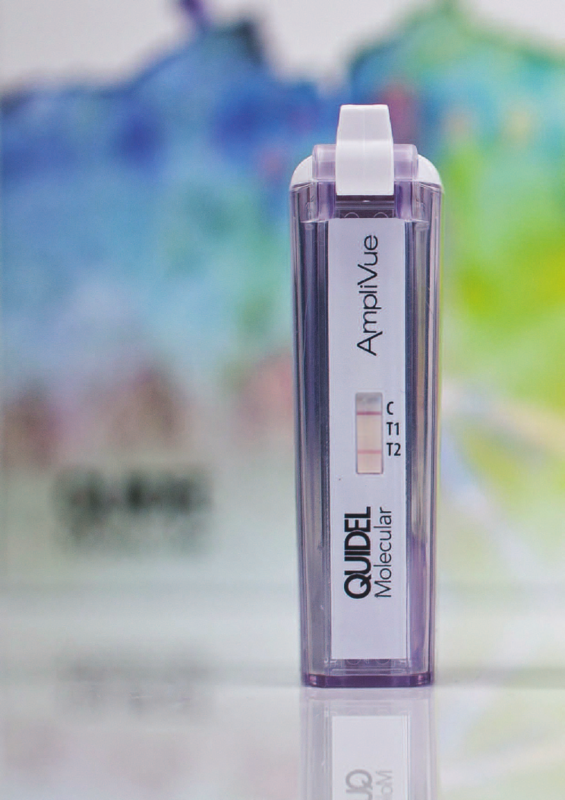 Using a small hand-held cartridge which requires no equipment beyond a thermal block with a heated lid, AmpliVue eliminates the barrier of a large capital investment for molecular testing. AmpliVue assays are also considered CLIA moderately complex, which allows for simple training and freeing high complexity staff to work on other assays. Bringing tests in house, reducing turnaround time, reducing hands-on time and simplifying your workflow are just a few logistical benefits of AmpliVue.